To coincide with the launch of the new E-Rider website, we also introduced some brand new electric bikes into our range as part of our commitment to bringing our customers the best models on the market. We’ll be profiling each electric bike in more detail over the coming weeks and months. So first up, let’s take a look at the all new Model 18. Featuring a contemporary, light weight design and a super long range of 75 km from a full four to six hour charge, this new electric bike lets you go the distance and look great while you’re doing it. The electric bike is specified with a state-of-the-art LED display and is also fitted with an electronic alarm to give it that extra bit of security. 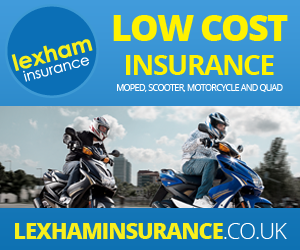 Just like our previous standard models, the bike can be driven on UK roads by anybody aged 14 and over, without the need for a license, tax or insurance. And because legally, it’s classed the same as a bicycle and not an electric moped or electric motorbike, you can drive it on cycle lanes, bus lanes and pretty much anywhere else. The Model 18 also comes with a complete back box, but this can be swapped for an optional backrest, allowing you to make the choice that best suits your travel needs. An additional benefit is that the bike comes in a choice of two colours: grey and white. But if you want a Model 18 you’ll have to be quick! We’ve only ordered 40 of these bikes to begin with, and they’re available now with an amazing £500 off when you pre-order for delivery in July! Find out more about the new model 18 electric bike and order yours today.